Are you in need of a garage flooring epoxy coating that will actually last? Ohio Garage Interiors can give your garage the upgrade of a lifetime. Naturally, garages are high-traffic spaces, which means they need a quality coating if they want withstand the barrage. Ohio Garage Interiors has exactly that. 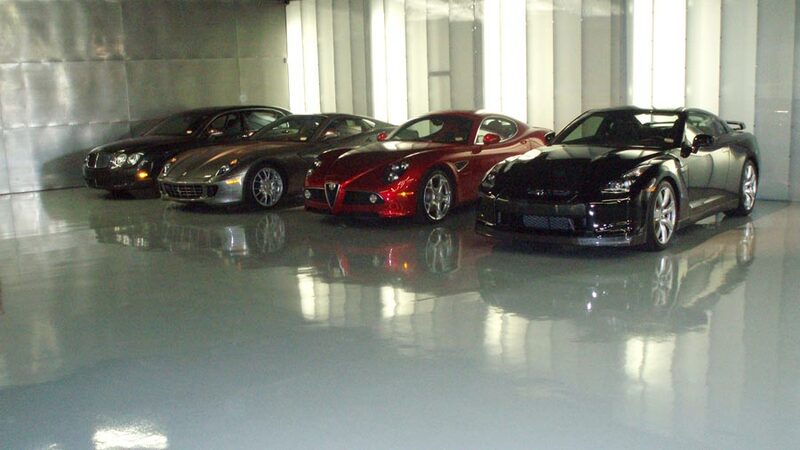 They design garage flooring epoxy coatings that are four times more durable and more flexible than standard epoxy. These coatings are stain resistant, non-porous and easy to maintain. Furthermore, these coatings do not require annual maintenance or resealing. Ohio Garage Interiors offers epoxy coatings that are far superior to DIY coatings that will peel and deteriorate over a short period of time. Some choose to go the DIY route for cost efficiency; however, Ohio Garage Interiors’ epoxy coatings will permanently bond to the concrete. They also offer a ten-year warranty for any possible peeling or damage, meaning you do not have to worry about your garage floor for years to come. These garage floor coatings are also slip resistant and UV resistant. They have a beautiful, contemporary finish that easily protects against stains and spills. Cleaning is also incredibly easy. All it takes is a simple mopping or hosing to keep your garage sparkling. You cannot go wrong with these coatings. In addition to the strength and majesty of these coatings, Ohio Garage Interiors offers an incredible variety of colors and styles. With their help, you can customize your garage to your liking. They offer a myriad of colors for their decorative flake styles, and there are even multiple flake types. These types include the standard decorative vinyl flakes, variegated vinyl flakes and organic mica flakes. These flake styles also come in varying sizes from 1/8 inch to 1/2 inch flakes. Secondly, they offer solid-color and metallic finishes, like in the picture above. These solid-color garage flooring epoxy coatings come in dozens of colors and have a gorgeous, high-gloss finish. Customers can even make requests for custom color blends. Lastly, Ohio Garage Interiors offers FlexTile Modular Flooring. This flooring is made from recycled tires, and it is designed to have incredible longevity and durability, making it a leader in quality in the industry. These tiles are easy to clean and can be used both indoors and outdoors. Ohio Garage Interiors will install this system on more than just your garage. They will apply it to patios, hangers, showrooms and customer service areas. This system gives the customer all the flexibility and customization options they need. Those in need of new, high-quality flooring should consider Ohio Garage Interiors. They will give you a floor that will last you years and will consistently look fantastic. These coatings will give you your money’s worth, and Ohio Garage Interiors will make sure you are happy with the finished product.